A high quality thermal insulated blackout screen for VW T5.1 GP, which covers both front doors and the windscreen giving total blackout. This is the upgraded screen drop down version. Four layers of material make up the screen. The insulated material helps in both hot and cold conditions and this will remove condensation from the front windows that are covered. 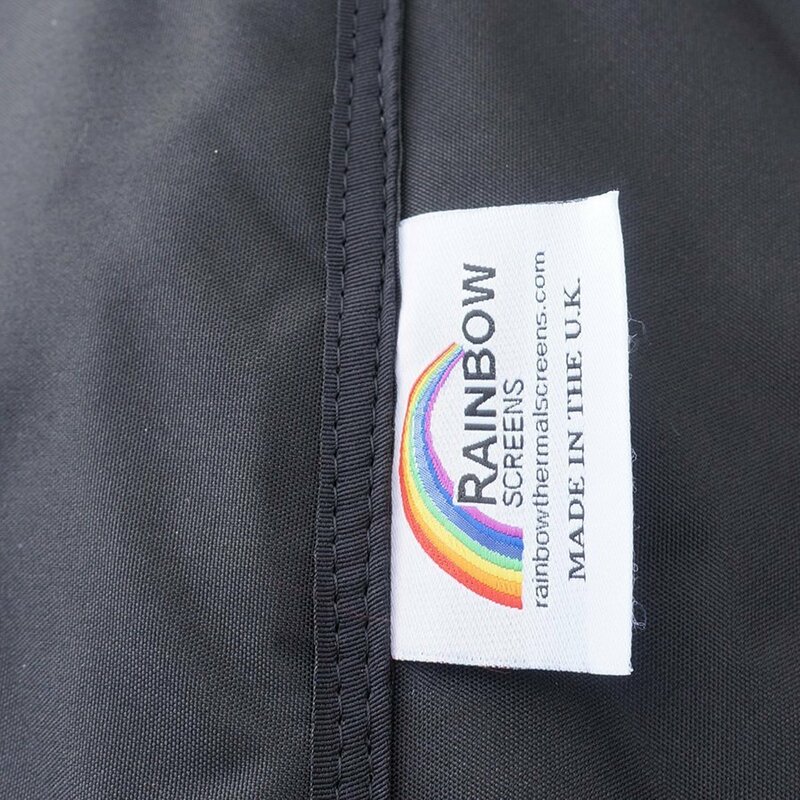 These screens made by Rainbow Screens come in black but they can be ordered in a range of colours to compliment or accessorise your van. These screens are considered as the best in the market and they are made in the UK. *Drop Down option means you can allow light in during the day without taking the entire screen cover off. 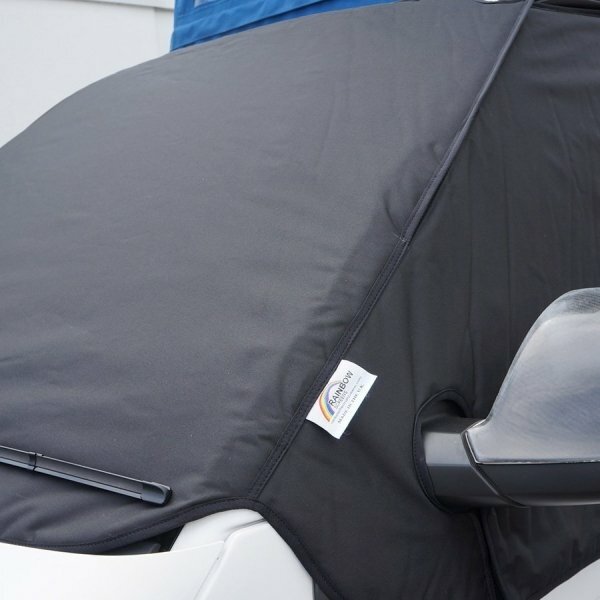 Operation is simple – pull down the top two-thirds of the screen on each side using the Velcro™ fastener system. The screen cover still retains its one-piece construction so it can’t come loose in the case of adverse weather or attempted theft. Closing at the end of the day just involves folding the screen back up and attaching the Velcro™ strips.